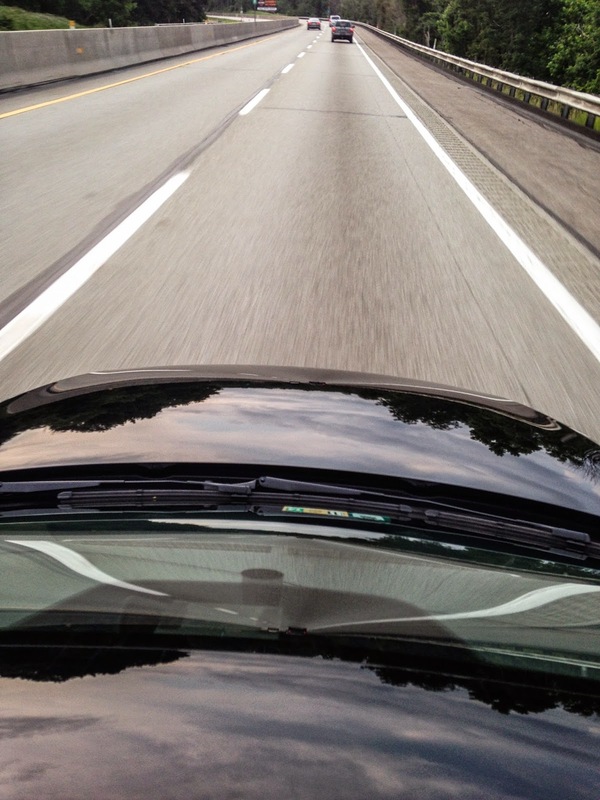 Cruising West on the Pennsylvania Turnpike after dinner. At the time of writing (August) I'm sitting in my hotel room staring out at the rain. It's presently raining sideways, meaning if we had run with our original plan...drive to Toledo instead of Cleveland, we would have been in it. There is little I like less than driving on strange highways, late at night in torrential rains. The leg itself isn't too terribly long, so it ended up being a nice gentile start to an otherwise grueling trip. In just under six hours behind the wheel we crossed the states of Virginia, Maryland, Pennsylvania, and Ohio to land at the Aloft Beachwood hotel. 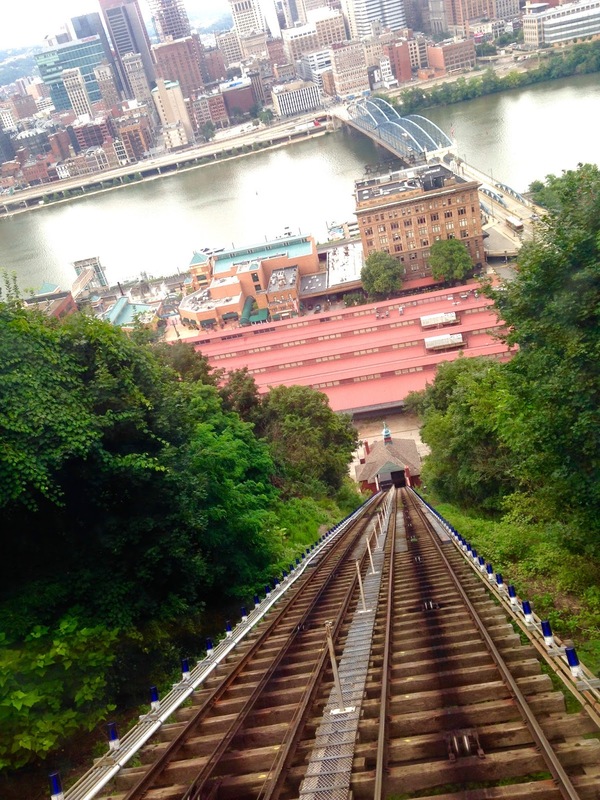 We made the call, though, to stop at the Station Square in Pittsburgh and have a quick run up the mountain on the Incline Railway. After a short (3 mile round trip!) walk along the ridge, we were more than ready for dinner. The tourist ticket we got gave us a strict three-hour limit at the top of the mountain, which meant that while we could have walked to one of the many restaurants at the top, it was safer to travel back down the mountain to find food, and avoid the chances of getting stranded at the top. A small word of caution about Incline Railway tickets: Take exact change. They do not give change, and will not let you go anywhere until you’ve paid for your ticket in cash. We dined at one of the two "local" joints that were in Station Square after deciding against the first we stopped in due to the heavy presence of tobacco smoke. While the first bite or two were incredible, by the time we were halfway through with our food, we were less than impressed. The initial hunger and exhaustion turned quickly when we realized most of what we were eating was badly freezer burned. The restaurant (and I use the term loosely) seems to only offer food in order to maintain their liquor license. If you want something local, you're best served outside of Station Square. If you want Station Square you will be better off dining at one of the myriad of large chains that are available. Station Square is pretty, and provides great photos of passing trains, the Pittsburgh skyline, and one of the rivers, it’s just lacking when it comes to unique culinary experiences. We had initially planned today to cross five states. Unfortunately because of a miscalculation (and misread of Google Maps, we only hit four. We had hoped to cover West Virginia in addition to Virginia, Maryland, Pennsylvania and Ohio. We did make sure to map a route back, which would knock out West Virginia. The biggest surprise of the day came right across the Ohio state line...we discovered that Orange Julius still exists. A stop in for the 1980's shopping mall classic was required. I was thrilled to discover they taste exactly the same! Overall, this leg covered 391 miles. Next Monday will cover the trip from Beachwood, OH to Chicago...and three more states! Another Long Break...and another broken promise. 2,000 miles per month is my average now. Recently I had a surprise (but good!) job change. The amount that I had to get done in order to successfully transition ended up requiring many late nights at the office, and many weekends. What that ended up meaning was I got WAY behind. So, I have a backlog of about 30 entries that will trickle out over the next couple weeks. Get ready to be inundated. As a brief update on the car, we just passed 26,000 miles. I'm still just as thrilled with it as I was on Day 1. In 2015, we're looking at several nice long road trips. As you can see to the right, we've now covered 20 of the 50 states we're aiming for. If the travel we have planned in 2015 pans out we'll make it to 18 more! On the winery front, we have about half a dozen more that are written, just not published. There are also several Pizza joints written and waiting in the wings, a long with a few little local gems we've found on the road. Watch for the first catch-up post to roll in on Wednesday. This one reaches way back to the trip we took in August to Omaha, NE with several stops on the way. The Jetta somewhere in Rural Iowa. That dust stuck to the car all the way home. Sometimes you realize you've screwed up. Ok. I'll give you that one. This post is my biggest mea culpa to date. I swore to myself when I started writing about my 2014 Jetta that I would be better, that this would be the Long-term-test to end all long term tests. A journal of my day-to-day car quabbles. So far, my expectations haven't lived up to my self-driven hype. Over the next several weeks I'll be posting a "run from the road" which is just an update on my recent barnstorm tour of the midwestern United States. As you can see from the "States" section to your right, during the period in Late July and Early August, I ended up traversing almost half of the country. 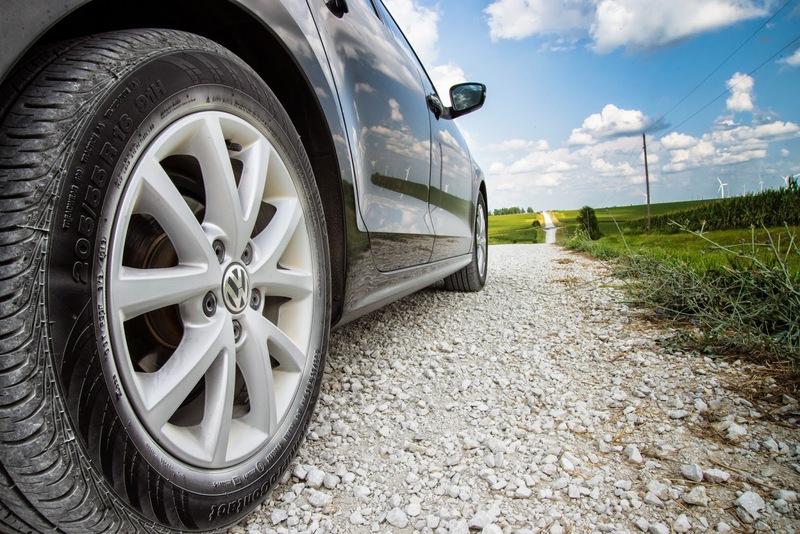 In my August mileage reporting period alone I racked up an impressive 4,000 miles. The reason? My youngest cousin was getting married in Omaha and he asked me to be the photographer. My initial thought was: Omaha? Can't I just buy a present and be done with it? In the end, I'm glad I didn't. While the journey across the country was arduous, and portions of Missouri were so boring I resorted to counting off miles between where I sat and the furthest item I could see in the distance (they don't call 'em the flyover states for nothing!) parts of the drive were spectacularly (and surprisingly!) beautiful. The end result was, it was a spectacular trip. The only change I'd make if I could go back and do it again would be to plan more time in some of the stops. With similar tours of the Southeast and Northeast coming up soon, I can say with certainty I didn't learn my lesson...but I promise to be more entertaining and current on those updates than I have been with this one! Some of my friends deem my Starbucks swilling ways an addiction. In all likelyhood it probably is, but I'm not complaining. Starbucks, however, is not my favorite coffee. In fact, I don't particularly care for it, but I continue to go because it's the best immediately available where I live. 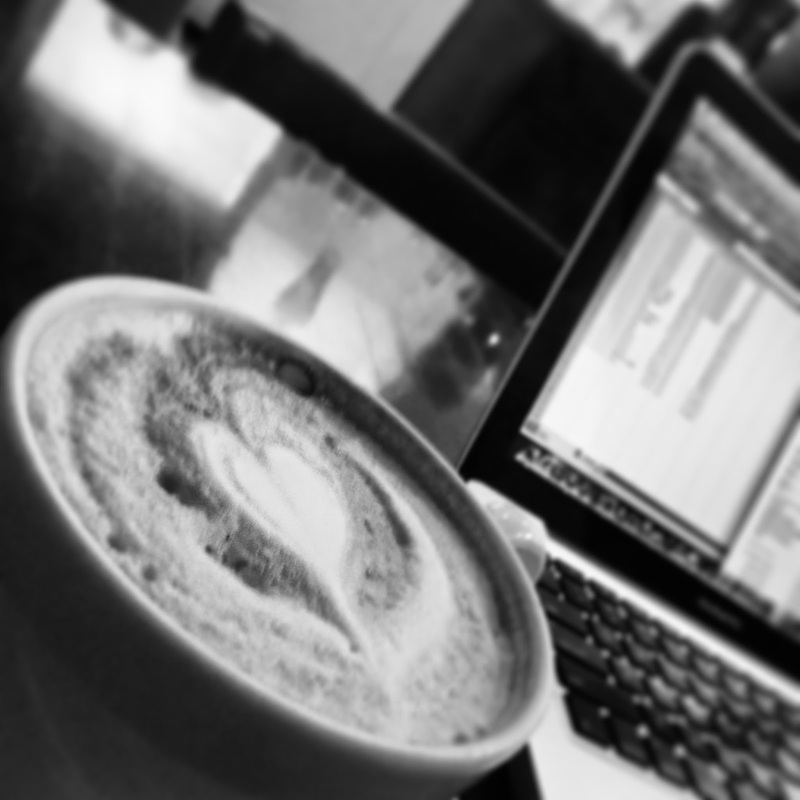 Coffee is a feature that I would have liked to have put more in the front of this blog. The downside is a good coffee is relatively inaccessible to me here in Northern Virginia, primarily because Starbucks is on every street corner. However, because of the lack of good local coffee shops in this area, the feature would die out after about three weeks. It's certainly not for lack of trying, but beyond Katie's Coffee House in Great Falls, and Green Iguana in Herndon, VA there isn't much. Oh suburbia, how I loathe the. Charlottesville, VA, on the other hand, has extremely high quality local coffee shops on almost every corner...and almost no Starbucks locations. While this is almost unheard of, it is always a huge relief for me to find a town where local entrepreneurs are not only supported, but celebrated. Java Java on the downtown mall is one such example. The cappuccino I ordered was perfect. I was just getting ready to order a second when my colleague called to let me know he had arrived. So, I had to go, but I'll be looking forward to going back some day soon. You can reach Java Java on the web at http://javajavacafe.com/. At the time of writing there is no twitter handle. One look through the "Drafts" section of the manager for this blog tells a sad, sad story. And that story is that I'm FAR behind. As of this Wednesday I'll be caught up to May. There may come a day soon where I post two wineries a week just to get reasonably caught up! This past week provided me the opportunity to do a whirlwind tour of central Virginia. Unfortunately the return was quick and I didn't get to visit any wineries, but I did find a gem of a coffee shop and a wonderful pizza joint...within walking distance of each other. The Coffee shop is going to appear on Thursday of this week, the Pizza joint probably in a few months (I'm about 5 weeks behind right now on those!). The weather this July (aside from some torrential rains) has been every bit of perfect. Last Monday was a crystal clear day, and a perfect day to drive down 29 to Charlottesville, VA to drop off some equipment with one of my co-workers. The return trip was perfect, and while I'm no fan of a sunroof, mine was open the entire trip back. The weekly update for this blog may go on hiatus for a bit in the coming weeks as I'm busy prepping for my trip to Omaha, but it will be back soon! "Don't expect good wine" she said, "it's mediocre at best and designed for people who aren't really into wine, and just want to stop by a winery, get drunk on the tasting and buy a case of overpriced, undervalued wine." A bit of back story. My sister and I always take our mother to a winery (or two...see next week!) on Mothers day. My sister argued against going to Barboursville, because, she said, they only do mediocre wine that's overpriced for what it is, and it's never really good just okay. My argument for was it's big, with lots of variety, and our mom only likes sweet, cheap, simple wines. Quite frankly a box of Franzia or Sutter Home White Zen is more often than not exactly what she wants. For my sister and I, the more complex, the heavier, and drier the better. Needless to say, we frequently have issues all coming to agreement on which bottle to order at a restaurant! So finally, my sister relented, and we agreed that we would go (small win!) and that she would pick the second stop of the day which is a smaller, less commercial, and substantially better winery close by. I agreed, and off we went! We couldn't have asked for a more perfect day to make the trip over to Charlottesville. I started off in Northern Virginia, and picked up my parents before heading over the mountain. US 33 was Gorgeous, and the trip through Shenandoah National Park was stunning. I had forgotten how beautiful my old stomping grounds were. We pulled in just before it got busy, and started our tasting. The wine, was substantially better than I had expected. Still not as good as some of the best, but far better than the Virginia average. In the end, everyone had something they sincerely enjoyed, and even the naysayer ended up buying a couple bottles of wine to take home. Overall I was more than impressed. The only disappointment (and it was a big one!) was they weren't pouring their Octagon! 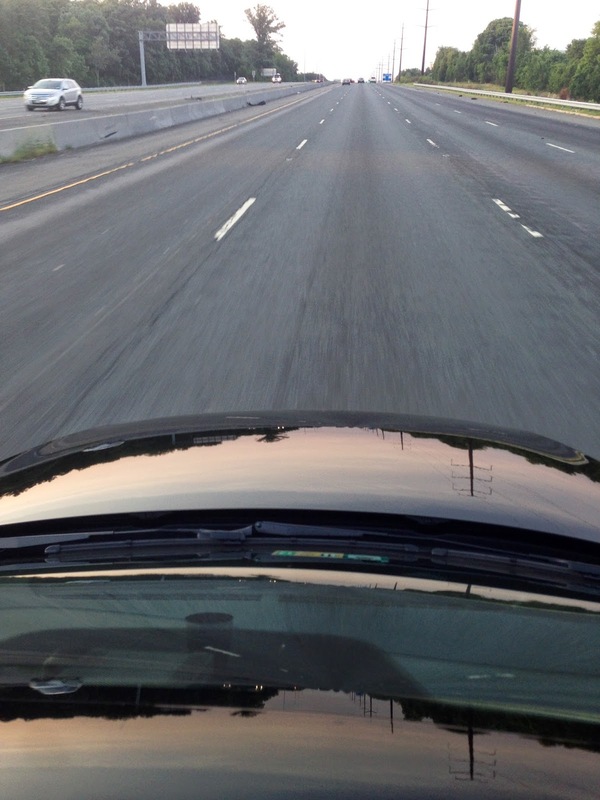 Yes, I realize I'm balancing a Camera and driving 55 mph. 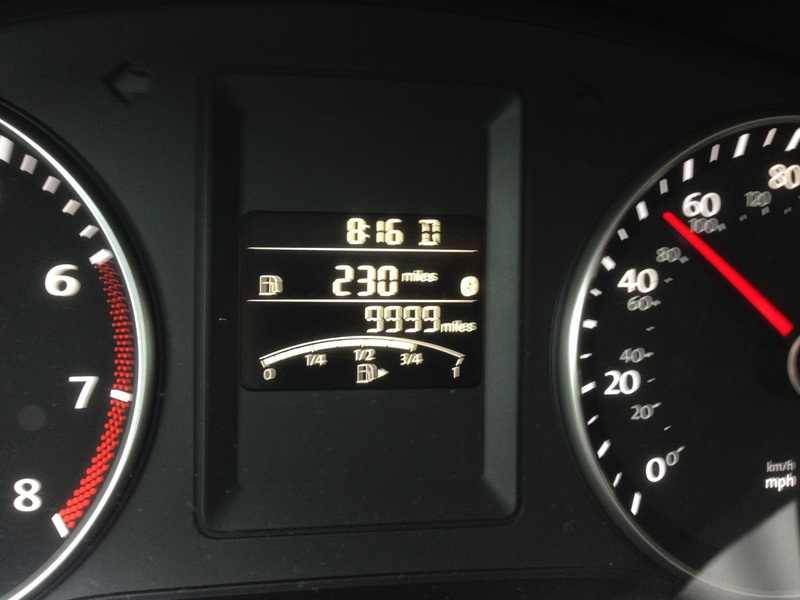 After just six months I pushed the car beyond the 10% mark for what mileage I actually should be at with the title I chose. 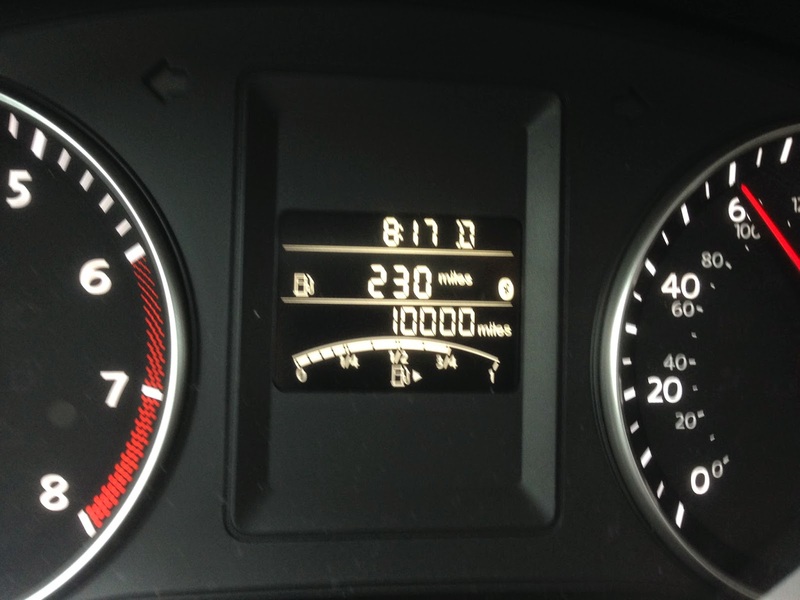 The first 10,000 miles in the car were completely problem free, as should have been expected! The fuel economy I've returned is almost exactly what I was getting in the Honda before it, and slightly below what the Monroney label on the car said when I picked it out, which is to be expected with my slightly *ahem* spirited driving style. Going to the service department always sort of scares me. For those of you who have been reading these pages for awhile you might recall several instances of larger-than-expected repair bills (go back to 2009 and read through the posts on the Volvo!). I admit, after my 10k service I'm completely sold on the service department at my local Volkswagen dealer, Stohlman Automotive. Granted, I'm a bit biased as I used to work there, but when I got in the car to drive that way I called to set an appointment, Sharon was able to take me immediately, and had the car out before she promised! The entire process was complete in an hour, from setting the appointment to driving away with a nicely washed car. What more can you ask for? Overall? I can't possibly be more satisfied with the car. The next 10k miles have quite a bit in store. The first planned trip is to Omaha, NE because my cousin is getting married...and I'm the photographer. In October, there are plans to head up to Toronto, and then down to the Biltmore near Christmas. In between now and then I promise lots of stops at wineries, pizza joints, and even some other worthy local joints. Overall, it looks like I'll be able to hit 25 of my 49 state goal this summer alone.